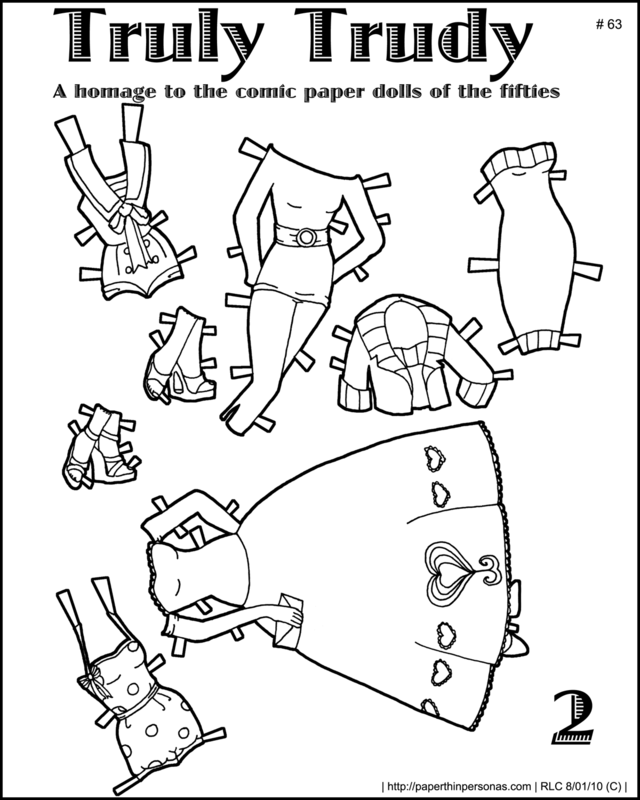 The first Truly Trudy post talks a lot about where to find other comic paper dolls, so I don’t see much need to go over it again. 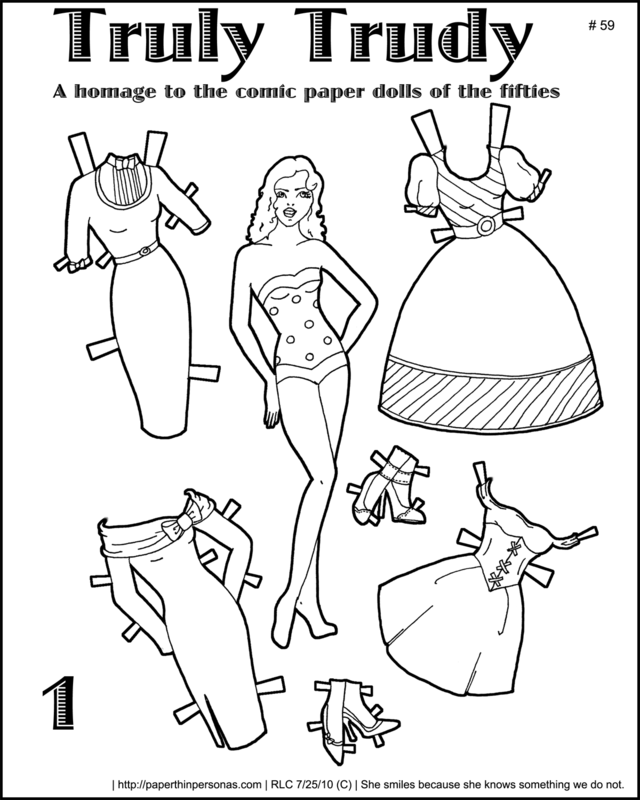 The jacket is meant to be cut out and then put over the dress and is copied from a similar style I saw on one of the Katy Keene comics I looked at. I would say which one, but frankly I don’t remember. One thing I did notice is that Katy Keene has a lot of evening gowns and so do her friends. I adore the red and black dress in this set, but I’m pretty sure Gloria was supposed to be Katy’s rival. Having not read the comic, I can’t be sure but the speech bubble does suggest some malice. 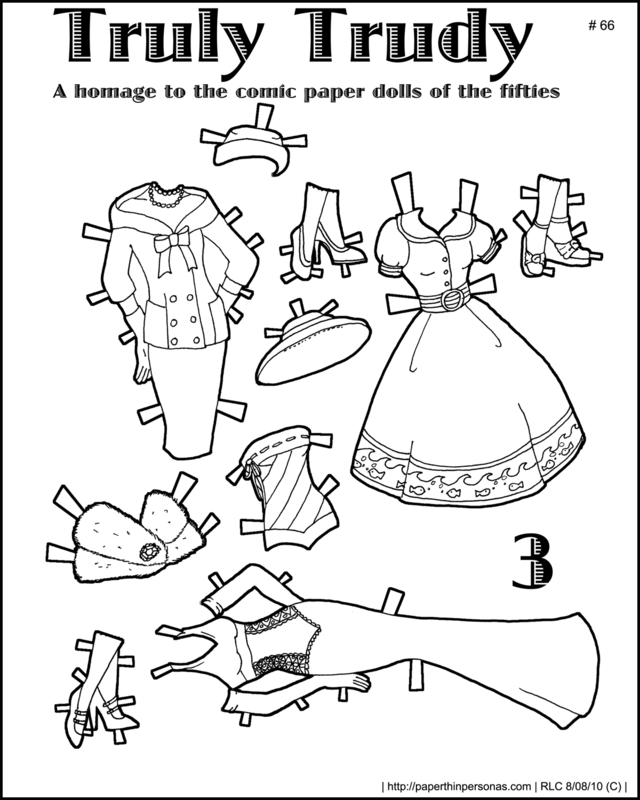 Perhaps I should actually track down some comics and read them… though I suspect if I had read them as a child it really would have been for the paper dolls.